100 Units of 19 Inch Shopper Non Woven Tote Bag - Tan Color - Tote Bags & Slings at low wholesale prices. alltimetrading.com offers Tote Bags & Slings at bulk discounted prices. 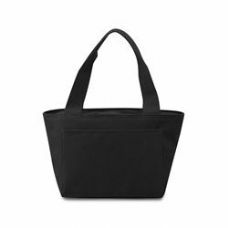 These non-woven small bulk grocery tote bags make going green easy. They allow you to cut out other harmful plastic grocery bags being 100% reusable. Distribute as promotional gifts or perfect for daily use, beach, gift, wedding, school, church events, kids, picnic, etc. Shop our tote bags and save with our everyday low discount prices.